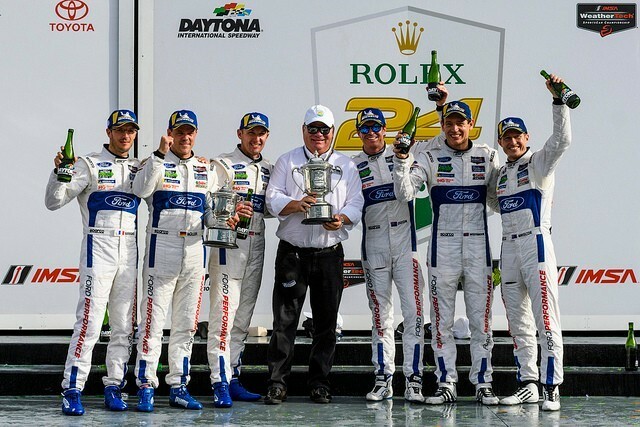 It was a 1-2 finish for Ford Chip Ganassi Racing at the 56th running of the Rolex 24 At Daytona. Teammates Ryan Briscoe*, Richard Westbrook and Scott Dixon drove the No. 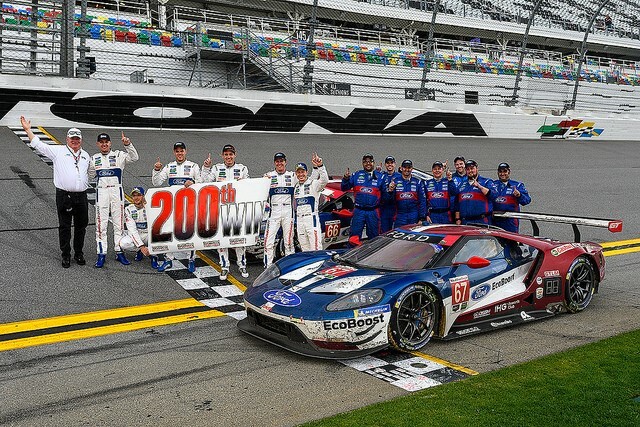 67 across the finish line, recording back-to-back wins for the Ford GT and delivering the 200th win to team owner Chip Ganassi. The No. 66 sister-car with drivers Joey Hand*, Dirk Müller and Sébastien Bourdais (2017 Rolex 24 At Daytona winners) secured a second place podium finish in this year’s season opener. This win marked Chip Ganassi’s historic 200th win; 103 Indy Car, 56 Sportscar, 39 Stock Car and 2 Rally Car wins, exemplifying his legendary career in motorsports. “Congratulations Chip,” from all of us at Roush Yates Engines. 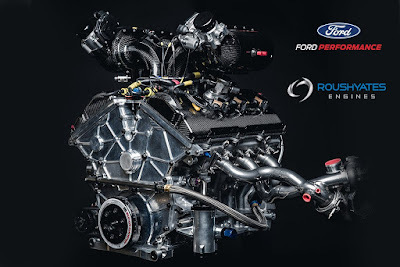 The direct injection, 3.6L, twin-turbo Ford EcoBoost V6 race engines performed superbly during the 24-hour endurance race, completing a record 2,787.48 miles (783 laps x 3.56-mile circuit) each. The No. 67 and No. 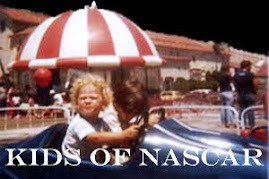 66 each completed 783 race laps, surpassing the previous 719 lap (3.84-mile circuit, 2,760.96 miles) record for the race. 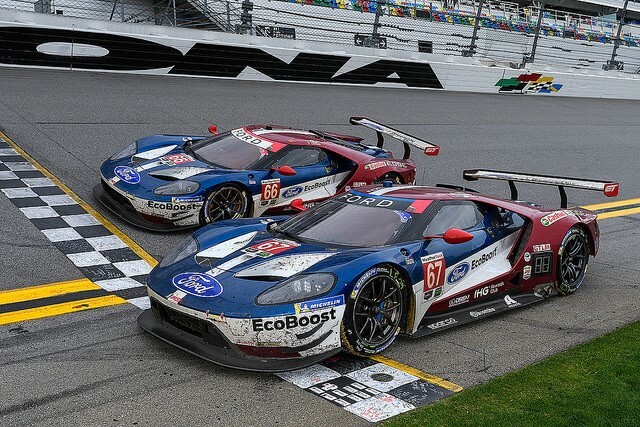 All Ford entries who competed during the IMSA weekend bore a special decal for Ford racing legend Dan Gurney, who died Jan. 14, 2018. 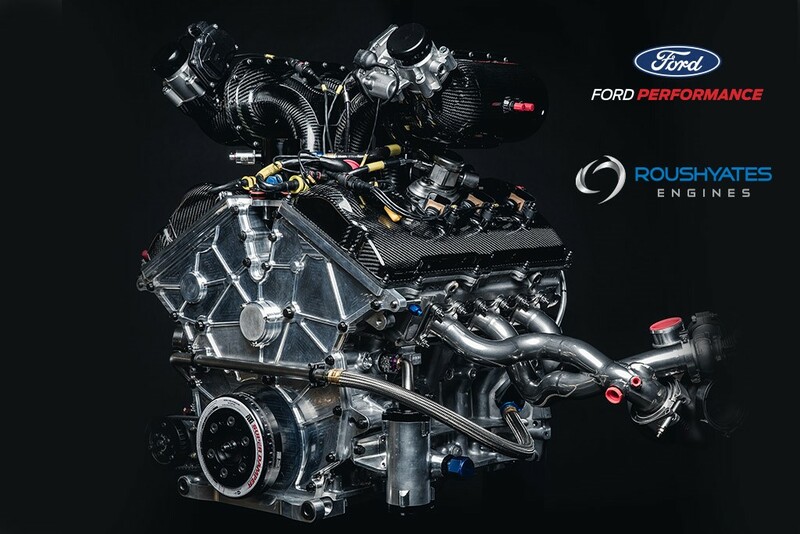 The serial number on the winning Ford EcoBoost engine was "GT40." 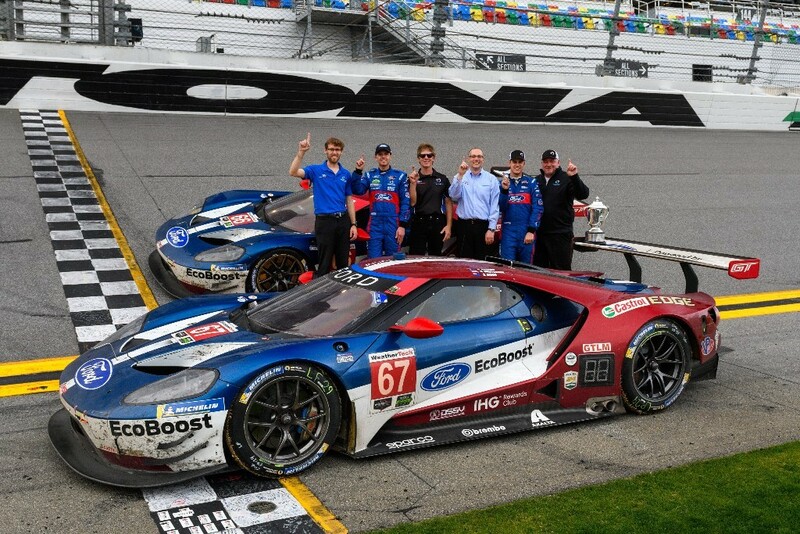 The Roush Yates Engines’ Calibration Engineers Craig Ashmore, Charles Vogel and Adam McMaster, alongside Ford Performance teammates monitored the engines, adjusted calibration mapping and traction control inputs in order to maximize the power and performance of the Ford EcoBoost throughout the challenging endurance race. "This win was a complete team effort," commented Wade Riesterer, Technical Manager of Road Racing for Roush Yates Engines. 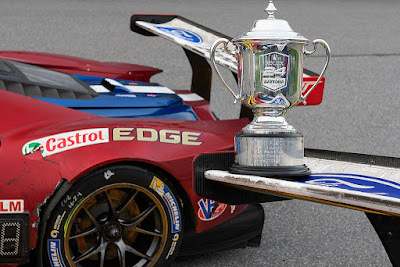 The Ford Mustang GT4 entries also had a successful weekend in the IMSA Continental Tire SportsCar Challenge GS class with NASCAR development drivers adapting quickly to their first IMSA endurance sports car race. The No. 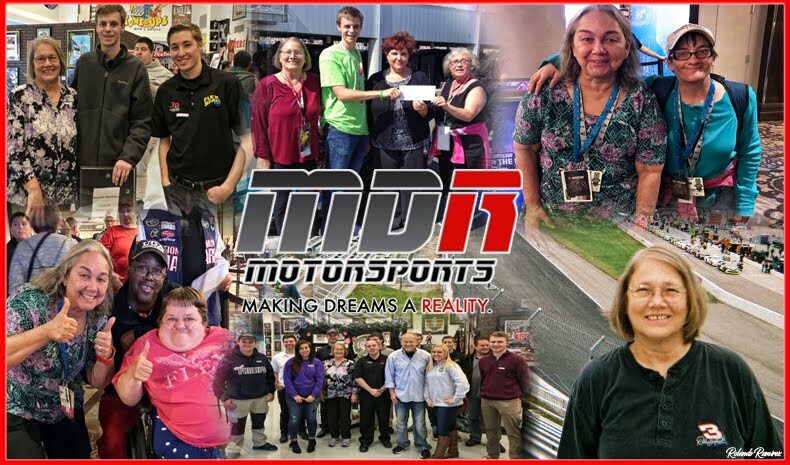 15 Cole Custer, Ty Majeski and veteran champion driver Scott Maxwell claimed their first podium, finishing third overall. The podium was the sixth overall for the Mustang GT4 in the Continental Tire series since Ford debuted the car at Daytona last January. This past weekend’s results provide momentum to Ford Chip Ganassi Racing as they head into the Twelve Hours of Sebring. 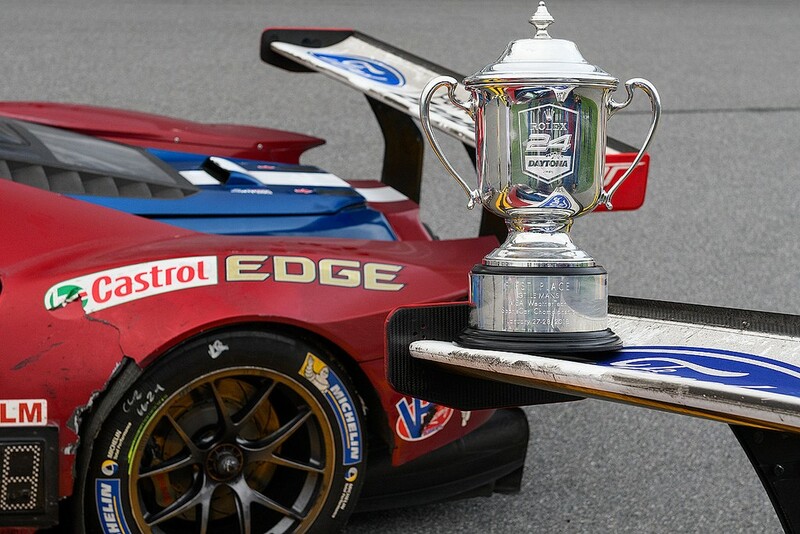 The next IMSA race will be held at Sebring International Raceway, March 14 - 17. 14 CHAMPIONSHIPS – 313 WINS – 282 POLES!